There is no need to travel far to enjoy skiing in Marianske Lazne. You can find a ski resort in the walking distance of 15 minutes from the Main Colonnade. Three carefully prepared pistes open every day if the weather is favourable. The resort features two tows and a unique aerial tramway, the oldest of the kind in the Czech Republic. A children’s park and a ski school are available for kids, while the grown-ups would have a great time during the popular night skiing. The resort offers snacks, ski service and rental offering full skiing and snowboarding gear, allowing you to set out for your holiday without extra bulky luggage. During the summer season, the ski resort is not idle. Adrenalin lovers can try going downhill on a terrain bike or a scooter. You can also take the cable way to the Krakonos peak where the Boheminium miniature park is situated, along with a storybook park and an enclosure with a forest game observation post. Last but not least, the slope top is a popular spot with great scenic views. Moreover, a couple of minutes’ walk will take you to the Hamelika observation tower, which, as years went by, became a symbol of Marianske Lazne. 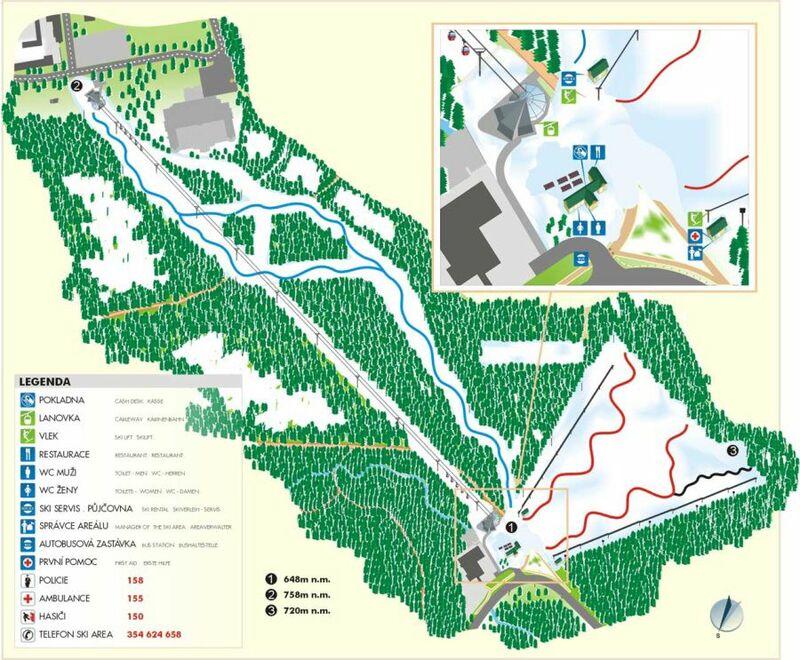 For current information regarding the operation of the ski resort, please see skimarianky.cz.